I did a little experiment with some Chocolate Milk. I had heard from various sources that chocolate milk is the best post-workout drink anyone can have. Thanks to the sugars and proteins, it helps your body recover quicker than it would if you didn’t have any. So I bought myself some Nesquick, only because I saw some guy at the races handing them out to his team racers as soon as they came through the finish line. 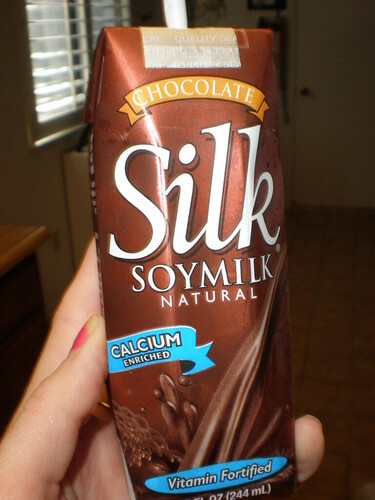 Then I also tried the soy version because I’m lactose intolerant. Finally I threw this one in. It’s not completely milk based nor is it soy based. Its made out of water and ton of sugars, Yoohoo. So it came down to this, I drank the beverages before and after the rides, but only half of the contents of the bottle. The conclusion, regular chocolate milk like Nesquick tasted great, but 45 minutes later I had the runs due to my lactose problem. So if anything, it made me deheydrated because I ended up pooping out all my fluids in my body…not good. However, if you’re not lactose intolerant, this should be just fine for you. The next item was the Soy based milk. Loved the taste! Plus it I didn’t poop it out. I felt great during my ride and felt even better afterward.One thing you have to keep in mind, soy milk is a bit thicker than regular milk or Yoohoo. Just keep in mind that you should only drink half of the container before your ride and the other half after. If you drink the whole thing, you’ll end up wanting to throw up because its a sucky feeling to have all that liquid in your stomach as you’re trying to grind up a hill or go fast on the single track. Just yesterday I tried out our water based drink, Yoohoo. I love the taste, reminds me of chocolate pudding. So I drank about 7 oz of it before my ride. It kinda sits heavy and my stomach was sloshing around during my ride. But the weirdest thing, about mile 7 of my ride, it kicked in! I’m guessing it was the 57 grams of carbs that started working. By the time I got up to mile 10, I had my second wind. It was awesome! I felt so energized and the following morning, no leg soreness. What’s the verdict? Chocolate milk soy or regular works! 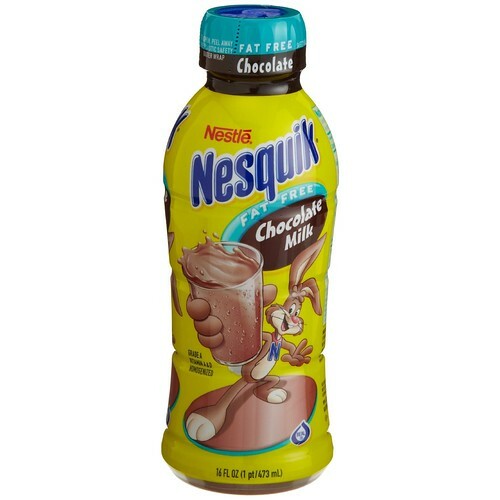 If you can handle regular milk, then Nesquick is your best bet. But if you’re like me and can’t, drink some Soy based milk. Yoohoo did surprise me on how well it worked during my ride. But I’m giving credit to the sugars in the drink. 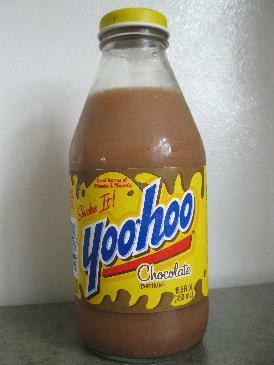 Yoohoo only has 4grams of protein per bottle, which means its not really good as a recovery drink. Try Lactaid + chocolate syrup from Trader Joe’s. That works for me. I’m actually a huge fan of Zico	(sp?) coconut milk, which this web site turned me on to, but with one modification. I add 2 scoops of trader joe’s chocolate whey protein powder and it is not only one of the best recovery drinks out there but it’s also so delicious that you could have it for dessert. That protein powder also mixes very well with cow or soy milk if you don’t like the Zico. I have never tried it before a ride always thought it wouldnt sit well with the gu or whatever supplements i was taking, but as an after ride recovery drink it is magic! …Just read this…thanks for the tip…I will try to drink milk/chocolate before a ride…i’m just terribly sore today and my muscles ache. I must’ve pushed too hard. Previous PostPrevious PADS FOR ALL OCCASIONS? Next PostNext Sea Otter or Bust!